Being a professional intuitive of three sons has had its fair share of challenges and rewards! 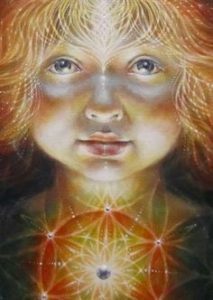 My children have been blessed with all their intuitive gifts intact and because of my line of work they spent their early years believing seeing and communicating with Spirit was normal. They all have their own experiences and perceptions. But we need to backtrack to when they were in-utero. It’s important. When my first child was in the first months in-utero I felt how fragile and available his little fetus was. My first born took forever to truly inhabit his body so there was a lot of time coming and going. When he was off elsewhere his body just felt very vulnerable. So, I made the difficult decision to shut down all Spirit Rescue until he was safe. That continued with the other two pregnancies. I was busy anyway, communicating with deceased loved ones who hovered nearby and fretted over each pregnancy, not to mention communicating with the souls of my babies! I also have a psychic hubby so I stopped feeling so unhinged when we got together – he’d see what I could see and confirm what I could feel. It really helps! Our current house came with an assortment of ex-resident earthbound spirits and the kids were good enough to bring through a pile more- playmates when they’d woken in their cots. The usual! When we moved into this house there was a woman who’d take exception every time we’d make alterations. She’d stand there, hands on hips, tapping her foot at us in horror at what we were doing to her home! Then there was a tall lanky man living in the house with us (an earthbound spirit who’d obviously lived in the house at some stage). He’d have his last cigarette in the same spot every night, out on the back balcony. One night my son, who would’ve been around two at the time, asked me to tell the man to go away!! Two years old and he was articulate enough to tell us he didn’t like it and wanted him to leave him alone! Turns out every night he stood by his cot staring at him as he went to sleep!! My son had had enough! We asked the earthbound spirit to cut it out. He stopped pestering my son but remained with us for many years, still seen standing on the back balcony having his last cigarette, hovering about in the hall way and in one of the bedrooms. When my eldest was nine years old he moved into that bedroom. The earthbound tried to sit on his bed and strike up a conversation with my son!! Well, that freaked my son out and he moved straight back into his old bedroom for another year. I taught him how to shut his sight down and ask the earthbound spirit to leave him alone. I’m not sure whether there was a portal in the house before my second son came but he certainly made good use of it and it became very active for years after he arrived. Our second child was terrible at bringing through playmates when he woke up from his daytime nap. One day we could hear a little girl running up and down the hall way upstsirs, having a lovely time with our son! Our second son had a serious health scare when he was 14 months old and was in and out of hospital over the following 8 months. Over that time we started seeing a lovely grandmother take up residence at his bedside, knitting. She never raised her head, never engaged anyone in conversation. She just sat vigil over our son every night, keeping him safe for us. Bless her! Our second son has also seen a woman in a nightie floating along the hallway for years now. One evening she stopped long enough to peek into the bathroom while he was on the toilet!! It freaked him out but she floated on by too fast for him to talk to her. So as far as I know she’s still here. When he was nine years old, our second child also remarked about all the angels “flying over the roofs.” You can imagine I perked up and started asking questions. He was a bit startled, thinking everyone saw them! Our balcony overlooks a narrow gully with houses backed onto us in a long row. He could see these angels flying over the houses and disappearing through the roofs into the houses. Wow! I wish I could see that! We also have a lot who just pass through so the boys report souls entering and flying up through the ceiling every now and then. My kids know to send any insistent earthbound spirits on to me so I have the odd spirit show up in the night, looking lost and bewildered. I have sooooo many earthbound spirit stories!!! And I’ll no doubt have more coming! Our third son has been the most tight-lipped about what he can see and has only just confessed that he can “hear voices” talking to him at night. He’s eight years old. Poor wee sausage is understandably freaked out! So, yet again I’m beginning training to teach him how to shut down and control his psychic sight. This one is proving difficult, which makes me wonder whether he’s the most psychic of all. My children are all super-sensitive. We have t be careful what they are exposed to – spooky suspense music is enough to give our youngest nightmares. They are just a bit more aware of everything that’s out there! Science fiction and fantasy have hidden truths that they pick up on where other kids don’t. It’s just not total fantasy to them! For instance, they understand the truth of a movie like ‘Avatar’ without me saying a thing – that the Earth is a living, breathing being (Gaia) who interacts and connects and tries to communicate with us…just like Pandora. My thirteen year old has watched Harry Potter but found it harrowing. Its just something I’ve learned to be cautious of…otherwise I have children too scared to go to bed! But the sensitivity has its benefits too. They are incredibly wise old souls. They just know stuff. They are the first to throw a caring arm around a hurt child, and I know they can feel what others feel. Two of the three are empaths. I have taught them all to develop strong personal as well as spiritual boundaries and tools for spiritual protection. As soon as my kids were old enough I’ve taught them personal responsibility and prayers for protection. There’s plenty of time for them to assist earthbound spirits when they are a bit more emotionally robust to cope with the inherent challenges. I’ve taught them how to shut down their sight when they got freaked out and explained they can switch it back on whenever they like. We still see earthbound spirits every now and then. If Spirit is determined to use earthbound spirits as a teaching method – as they did with me – then I don’t think any amount of intent is going to shut sight down. The joys of being born into a psychic family! Do have your own stories of kids with sight? What surprising things have your children seen or heard and shared with you? I’d love to hear your experiences! Please share them in the comments.